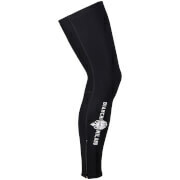 Stay dry, stay warm with these PBK Water Repellent Leg Warmers. The rain beads off the material and our fast drying fleece keep you warm and dry due to the extremely fast wicking properties. 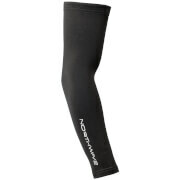 Vital winter protection for your legs, whether it’s warming up for your winter racing league or on a chilly Sunday morning club run, these leg warmers are perfect for regulating your temperature and keeping out all but the worst of rain. The windproof fabric has been given a treatment that forces the rain to bead off the surface, yet allows perspiration to pass through from your skin to the outside, keeping your legs warm and dry. I've tried countless different leg warmers over the years and I think these are the best of the lot. 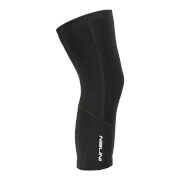 They're comfortable, don't bunch at the back of the knee and have good leg grips. And having worn them all winter they have kept my legs comfortable even in freezing rain and wind. They are water repellant to begin with but after a few washes become less so but I haven't found this to be an issue as they still keep your legs warm enough. No zips to snag or break which is a huge plus and an absolute bargain for the price. The PBK WATER REPELLENT LEG WARMERS arrived in a couple of days. I went out on a chilly day and they worked well enough to keep me warm. I should have bought these years ago! Great leg warmers. Good fit, comfy and very warm. Used on two ride with downpour and still remained relatively dry. Only gripe is the stitching isn’t great, had to do repairs on both my leg sand arm warmers.